New Designs and Exciting News! Over the past several months I have been designing a new line of seating, and just last week I added the final designs to my portfolio. I wanted to blend traditional chair design with a modern touch and am very happy with the outcome. This collection of bar stools and dining chairs are a no nonsense approach to seating. 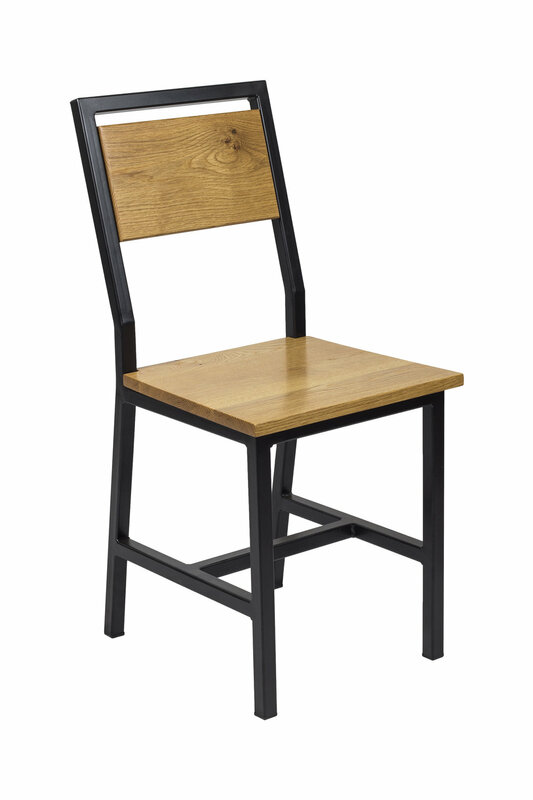 The 'Gudde Dining Chair,' 'Modern Dining Chair,' and 'Modern Barstool' have a welded steel frame with an inset hardwood backrest, and fitted hardwood seat. The back legs splay out to give a subtle yet appealing design touch that matches the angle of the backrest. The seat tapers from the front to back of the chair, being fitted in between the backrest frames for a clean and fitted seat. For those wanting a more traditional design with an industrial look, I made the the 'No Nonsense Bar Stool.' 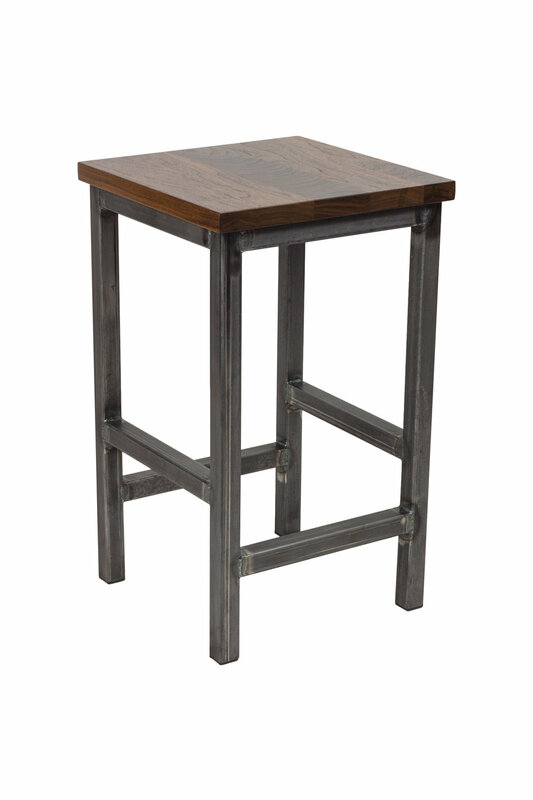 Living up to it's name, this stool is simple ⏤ a square steel base with two footrest placements and a hardwood top. All simple seating designs are available for order in a variety of hardwoods and steel base finishes, at chair (18"), counter (25"), or standard barstool (30") heights. Contact me if you're interested in placing an order! I have been given the opportunity to be part of an upcoming gallery exhibition in Austin. The exhibition will run from April to July, near downtown Austin, and feature several Gudde Co pieces. This will be a great opportunity to not only showcase my work but also tell the story of some of the local pieces I've created. On top of that exciting news, the gallery exhibition occurs during the West Austin Studio Tour weekends (May 13-14 & 20-21). The West Tour (for those not in Austin) is a free, annual, self-guided art event giving the public an opportunity to meet local artists and artisans of Austin. It's quite a big deal in the arts community! During these West Studio weekends, I will showcase additional Gudde Co pieces at the gallery and be on-site to talk about my work and the displayed pieces. I am honored that the gallery selected me and my work as the feature of the upcoming exhibition. I can't wait to see the response during both the exhibition and West Tour weekends! *More details will follow, as the exhibition date gets closer! 2017 started off with a bang! I completed 9 pieces in January, shipping them off to great clients across the US! White Oak coffee table with blue powder coated steel base. Shipped to a great client in Illinois, along with three matching C-tables. Two end of bed benches, made of local Austin Pecan and Solid Cherry slabs. Recommend us to family and friends! 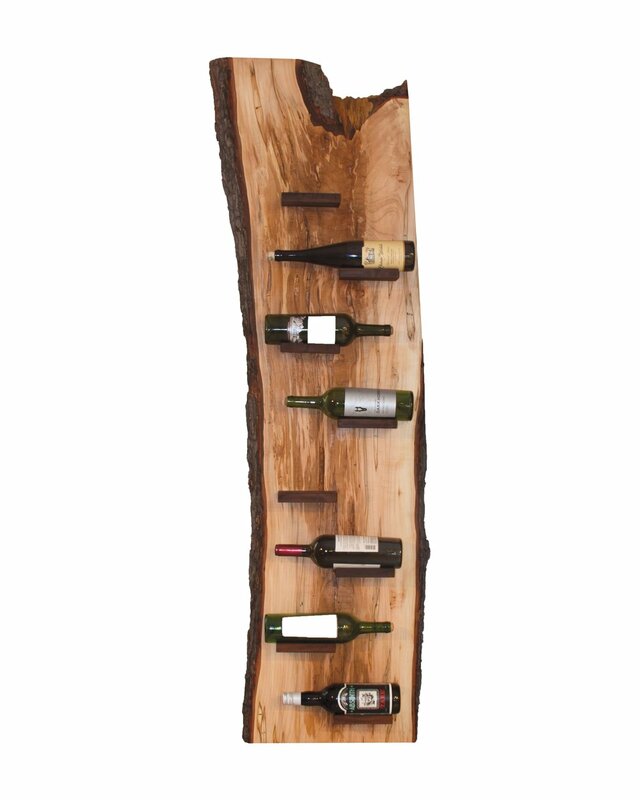 Posted on February 25, 2017 by Dane Gudde and filed under New Designs, Recently Delivered Pieces, Gallery Feature and tagged new designs modern gallery wine rack benches modern table barstools chairs no nonsense.